Zen is a veritable taste sensation and is amongst the most flavoursome of cannabis strains. It results from crossing a Mexican Sativa/Afghani cross with CBD Seeds own Lavender strain. It is an appetite stimulant par excellence and will be extremely useful to those seeking to increase their desire for food which in turn will help the body to be in the best shape to fight a range of illnesses. 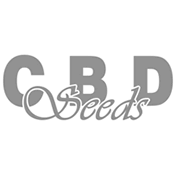 The explosion of aromas and flavours has been cemented by the stabilisation programme that was undertaken by CBD Seeds. It is not the easiest strain to grow but for those with a little experience under their belt the effort is more than worthwhile. Growers will reap their reward with scents and flavours of tangerine, mint, lavender and grapefruit in 10 weeks of flowering indoors whereas outdoor growers will bring the harvest in during October.